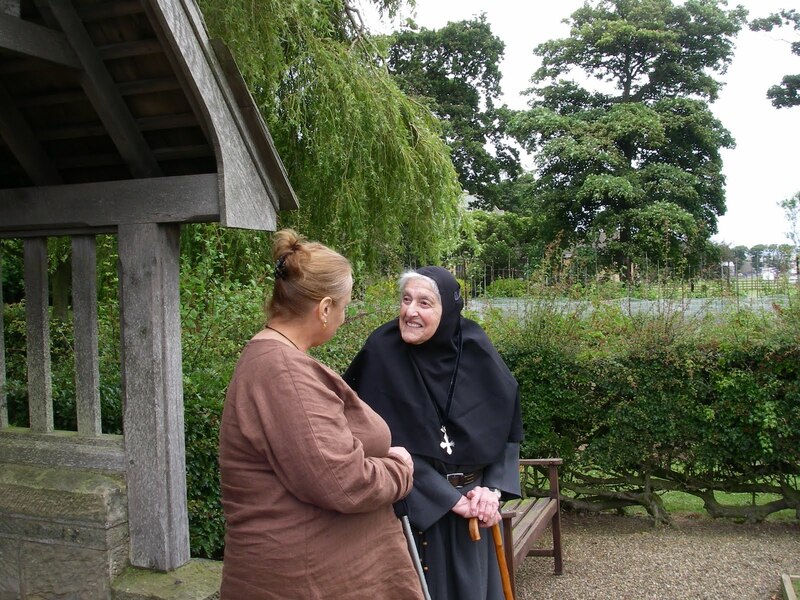 Fr Christopher and Diaconissa Elizabeth went south to Yorkshire to combine two visits. Mother Thekla and Diaconissa Elizabeth. Firstly to Mother Thekla who as always welcomed us with a huge smile and open arms. She is a little frailer, yet well and comfortable in the Infirmary of the Order of the Holy Paraclete in Whitby. Mother Thekla’s wonderful sense of humour prevails. 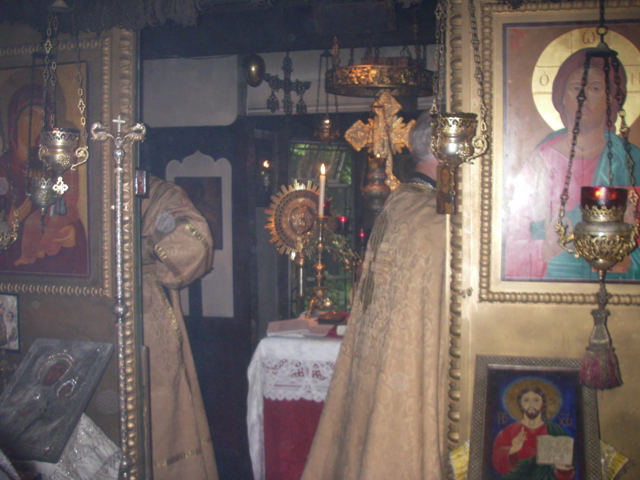 As does her poignant and crystal clear sense of Orthodoxy and how it should be a perfectly natural way of life and worship. Once again we made a visit to the graves of Mother Maria and Mother Katherine which are also at the Paraclete in Whitby. The second visit was to the Liturgy at St Anne’s House in York. A wonderful occasion as ever ; full of joy and love in the Lord. It is always a pleasure to be at Saint Anne’s; a place so redolent of prayer and worship with its fill of ikons and their lamps, relics of the Saints and a cosmopolitan mix of worshippers.